Hello, Brent from British Columbia. My wife just bought a beauty S3. Hi my name Barry just got my 2014 plate S3 black saloon always wanted one got one over the moon remapped rapid ???? Would like to put a pick of my car on here not sure how to do it ?? Hi. name is Joseph. 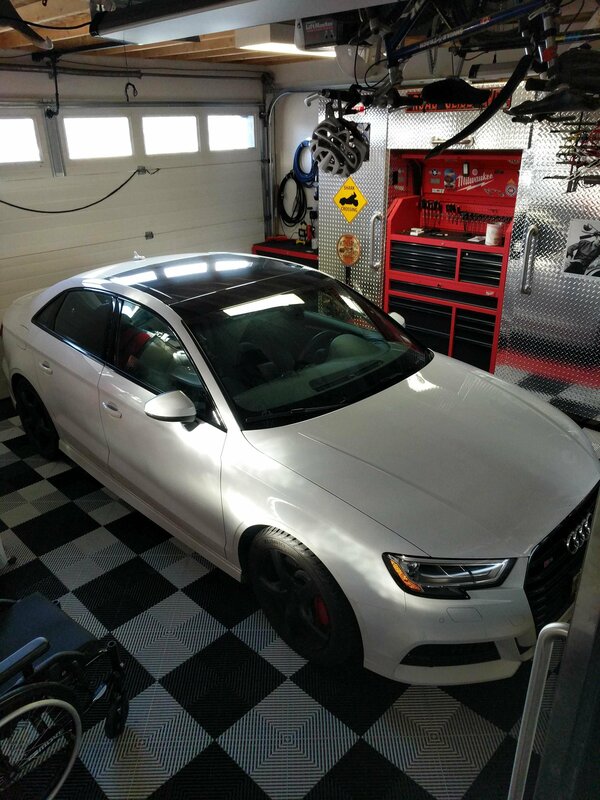 Just purchased a used 2017 white S3 premium. Very excited. It is my first audi. Prior cars have been a 2005 subaru STI and a 2007 evolution 9. Audi of course is my favorite. Really looking forward to learning more about audi by joining this forum. Hi. Names Neil. Just bought an white S3 Convertible to replace my S5 con which was stolen. Getting used to my ?hairdressers? car but up to now I love it, reckon it?s quicker than the S5 just without the 911-esc sound of the V6. Think I?m the only guy in UK with an S3 Convertible!! On the list is Revo and lowering springs. Not a lot else. Welcome [MENTION=945]N3HLY[/MENTION], post up some pictures. I would if I could figure out how to do it! Not easy on my phone, is there an app I can view the forum in? Tapatalk maybe? Hello, my name is Truckee. I have a 2016 Audi S3, Silver. Hi from Los Cabos, Mexico. I own a great S3 8P manual. Great car, looking forward to get more HP on my wheels. Hey all, I?m Stacia from Las Vegas! I have a 2017 nano gray s3 and it?s the best car I?ve ever owned. Has anyone heard of an s3 having the upgraded rs3 engine in it?